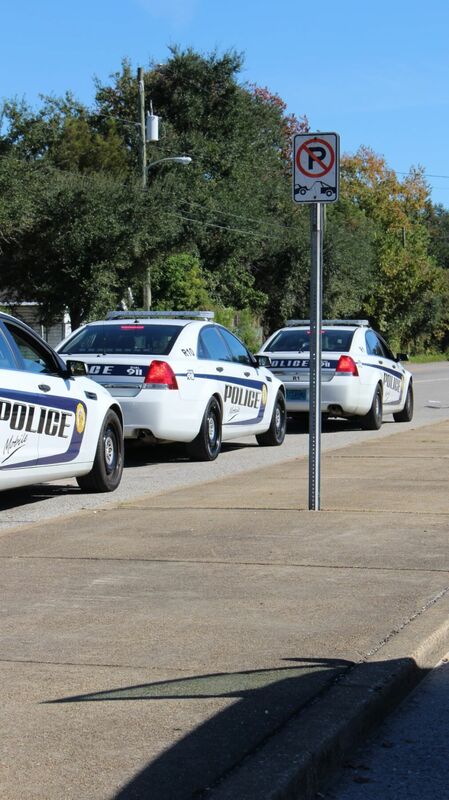 The Mobile City Council held over until Oct. 7 a vote to amend the city’s zoning ordinance to change the amount of on-site parking in multi-family dwellings like apartment complexes. The request to holdover the vote came from Councilwoman Bess Rich, after city planning staff and members of the Planning Commission recommended the ordinance not be changed because there wasn’t currently a problem. Rich said it was shortsighted of staff members to make such a recommendation when the city has dealt with issues with the lack of adequate on-site parking in the past and would again in the future. She used The Edge apartment complex on Old Shell Road near the University of South Alabama as an example. After it was first built, the complex had to purchase an off-site lot across the street to accommodate students living within the complex, Rich said. She called the complex’s parking situation a “disaster” and asked the urban development department to reconsider its position on the subject. The zoning ordinance currently requires all multi-family dwellings to provide one and a half parking spaces per unit, but Rich said when dealing with student housing, each resident might have a vehicle, meaning that one unit could have three to four vehicles. The amendment would separate two-family dwellings, like duplexes and multifamily dwellings and would require apartment complexes, including student housing, to have one parking spot per bedroom. 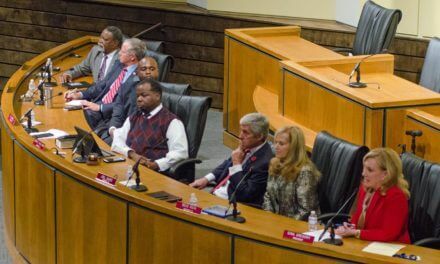 While the council unanimously approved the move to hold over the vote, councilmen John Williams and Joel Daves questioned it. Williams said there is more room for discussion on the subject, but added that with growth comes a need to be more “dynamic” in the decision making process. Daves questioned the need to hold over a vote on the subject. The first conversation will include two guest speakers, 2013 Leadership Mobile class member the Rev. Dr. Robert Richard Allen Turner and Stephen Black, the grandson of U.S. Supreme Court Justice Hugo Black. MPD Chief James Barber gave councilors an update on the rollout of neighborhood participation on a free, private social networking site called Nextdoor. The site is meant to improve citywide and neighbor-to-neighbor communications, according to an earlier statement from the MPD. The partnership with Nextdoor will enable local agencies to build stronger, safer communities, with the help of residents. 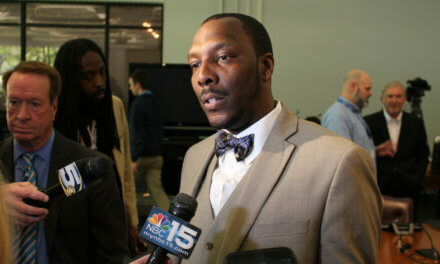 As of Tuesday, 1,712 Mobile residents in 32 neighborhoods are users of nextdoor.com, Barber said. Fifty-six neighborhoods have piloted the site, meaning the communities had less than 10 households using it. In all, the program has been introduced into 96 neighborhoods since its launch, Barber said. He said the site not only allows neighbors to report crime and other issues to each other and to law enforcement, but it can also be used for issues not related to law enforcement. Barber said he’s also looking into the cost associated with replacing old neighborhood watch signs, with signs that state a particular neighborhood is connected via nextdoor.com. During the comment portion, the council heard from Richard Walsh, who presented a petition asking the city to change the name of Three Mile Creek back its original name of Bayou Chateaguay. The change.org petition has 250 signatures, Walsh said. Bruce Coldsmith of the Dog River Clearwater Revival spoke to the council about working with the Alabama Department of Transportation to get signs put up directing paddlers to five new kayak and canoe launches on the Dog River Scenic Blueway. The five sites are the Dog River launch at Dog River Park, Robinson Launch, located at Gulfdale Drive; Rabbit Creek launch, located at Schwartz Landing and Rochon Launch, currently at Helen Wood Park. The council recognized Mobile Police Officer Robert Lundsford as Officer of the Month. Lundsford was recognized for making arrests on nine felony charges and 12 misdemeanor charges related to burglaries of newly built homes. While patrolling July 13, Lundsford made a traffic stop on a vehicle with an appliance on a trailer. The three people in the vehicle were all arrested. The stolen appliance was also returned to its owner. During the month of July, Lundsford responded to 79 calls and assisted on 56 calls. The council approved an ordinance to regulate the sale of goods or personal property downtown during BayFest Friday, Oct. 3 through Sunday, Oct. 5. The council also approved the issuance of a retail license for BayFest. The council also voted to authorize the sale of property at 250 Marion St. to Metro Ministries of Mobile, Inc. The council voted to re-appoint Sanford Davis to the Board of Adjustment and to re-allocate $60,000 for a new software system for Mobile Fire-Rescue Department. The council voted to transfer discretionary funds from the General Fund to the Capital Improvement Fund for various projects in districts 1, 5, 6 and 7. The council approved the addition of Better Care Lawn and Landscaping to the list of private contractors to abate properties declared public nuisances. The council also authorized the mayor to file for an Alabama Department of Economic and Community Affairs Outdoor Legacy grant in the amount of $500,000 for the first phase of a biking and walking trail along Three Mile Creek.